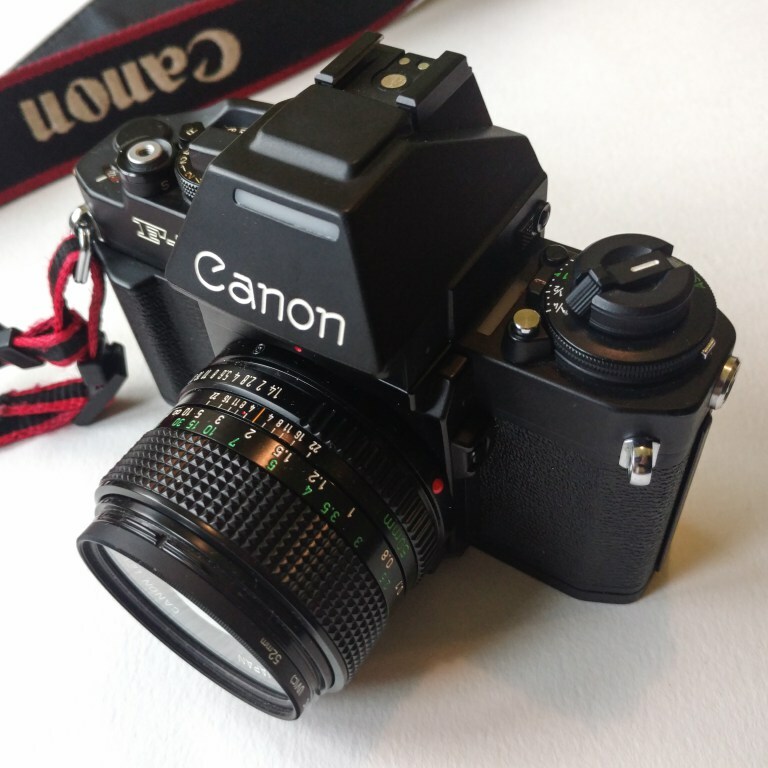 I wrote about my Canon SLR collection a while ago. The A1 was an obvious gap between the match-needles and dials of the Fs and the computers, buttons and LCDs of the Ts. 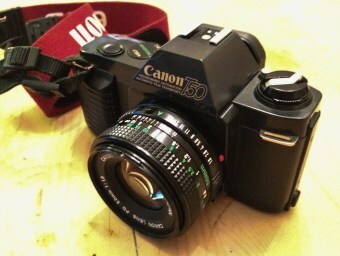 By the alchemy of eBay I transmuted three broken mobile phones into one very nice Canon A1. Gap filled.